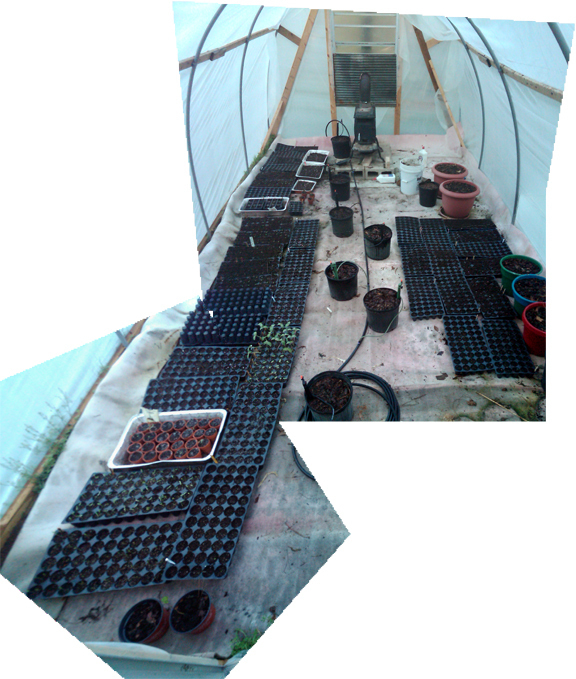 Started Seeds - This is a photo collage of the cell packs in the Hoop House. I still have a few more to get done. the irrigation is Mister Landscaper coming off a timer. It works very well.